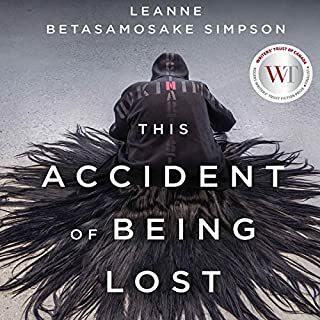 This Accident of Being Lost is the knife-sharp new collection of stories and songs from award-winning Nishnaabeg storyteller and writer Leanne Betasamosake Simpson. 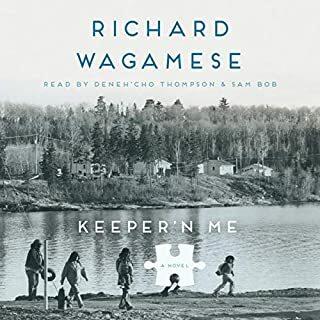 These visionary pieces build upon Simpson's powerful use of the fragment as a tool for intervention in her critically acclaimed collection Islands of Decolonial Love. 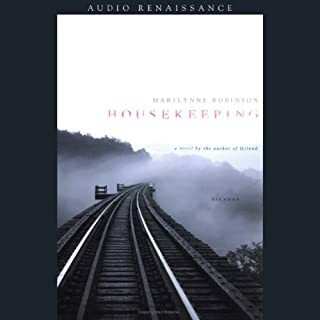 Provocateur and poet, she continually rebirths a decolonized reality, one that circles in and out of time and resists dominant narratives or comfortable categorization. 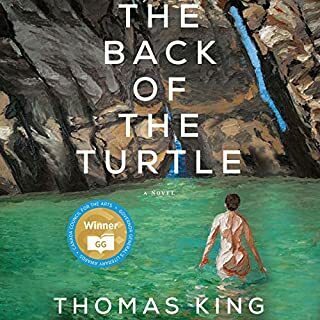 A young Native American woman remembers her volatile childhood as she searches for her lost brother in the Canadian wilds in an extraordinary, critically acclaimed debut novel. As she races along Canada's Douglas Channel in her speedboat - heading toward the place where her younger brother Jimmy, presumed drowned, was last seen - 20-year-old Lisamarie Hill recalls her younger days. 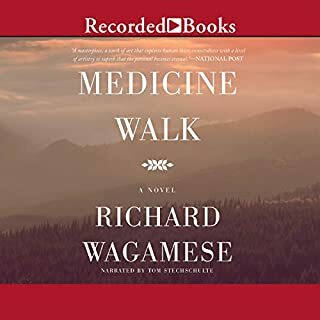 A volatile and precocious Native girl growing up in Kitamaat, the Haisla Indian reservation located 500 miles north of Vancouver, Lisa came of age standing with her feet firmly planted in two different worlds: the spiritual realm of the Haisla and the sobering "real" world with its dangerous temptations of violence, drugs, and despair. 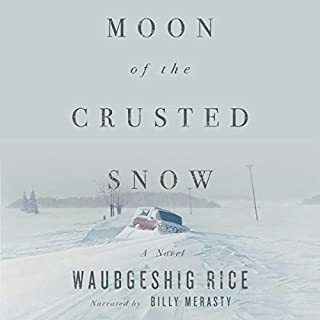 From her beloved grandmother, Ma-ma-oo, she learned of tradition and magic; from her adored, Elvis-loving uncle Mick, a Native rights activist on a perilous course, she learned to see clearly, to speak her mind, and never to bow down. 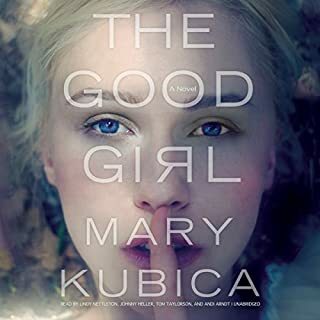 But the tragedies that have scarred her life and ultimately led her to these frigid waters cannot destroy her indomitable spirit, even though the ghosts that speak to her in the night warn her that the worst may be yet to come. 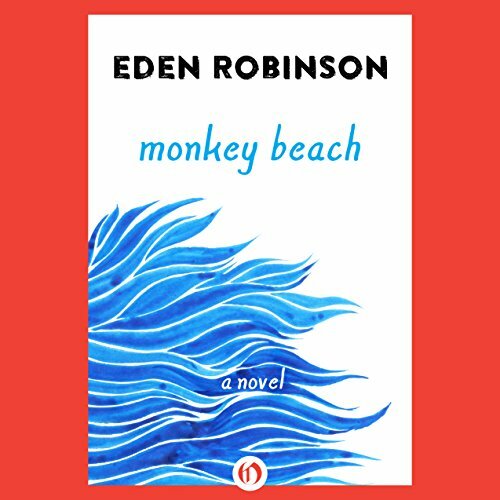 Easily one of the most admired debut novels to appear in many a decade, Eden Robinson's Monkey Beach was immediately greeted with universal acclaim - called "gripping" by the San Diego Union-Tribune, "wonderful" by the Milwaukee Journal Sentinel, and "glorious" by the Globe and Mail, earning nominations for numerous literary awards before receiving the Ethel Wilson Fiction Prize. 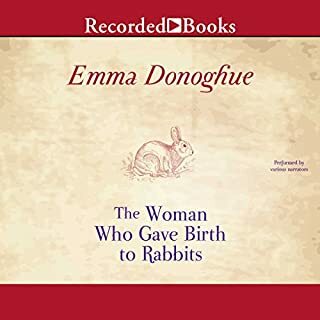 Evocative, moving, haunting, and devastatingly funny, it is an extraordinary listen from a brilliant literary voice that must be heard. 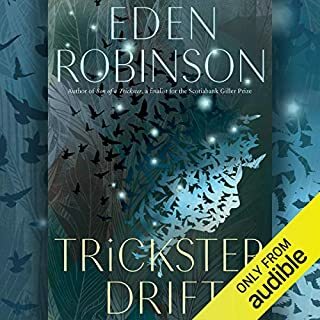 ©2000 Eden Robinson, This edition published in 2014 by Open Road Integrated Media, Inc. (P)2014 Audible Inc. I found myself hooked onto the story of Lisa Marie. to Son of a Trickster. 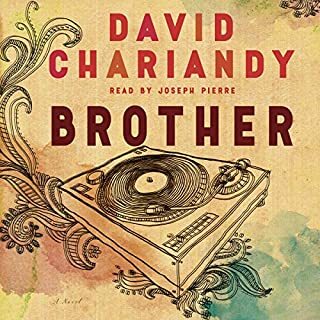 I enjoyed this book, but it was not as compelling a story as Son of a Trickster. The biggest problem I had was with the way the book shifted from present to past. There were no apparent clues that the time frame had shifted until a couple of minutes later. Then I'd realize I was lost & go back thinking I'd missed something, but no. I'm sure the author intended some effect, but for me it just pulled me out of the story. Maybe the printed book handles that differently? 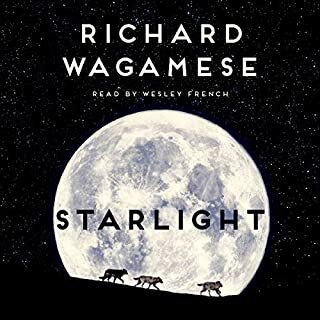 I did love the story of the character's lives and portrayal of indigenous culture. 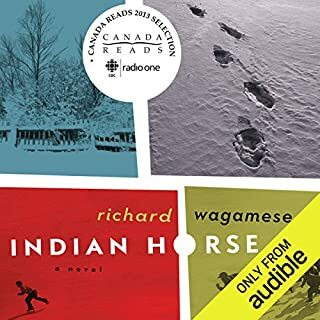 For a guy like me, who was raised in a Canadian society that didn't really show us much about our native people's, except for the bad stuff, it's important to experience more indigenous writers' work. 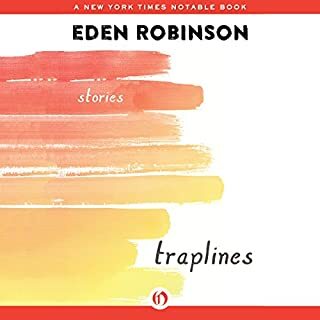 Eden Robinson (among others) is doing a great job of telling stories that I need to hear. I love books that take you right into the story and hold you captive like this one did. I could not wait to be doing something that allowed me to just listen. i could see, smell, taste the story and lost track of where I was in this world so caught up in the world she writes. It haunts, this one.. and I love it. 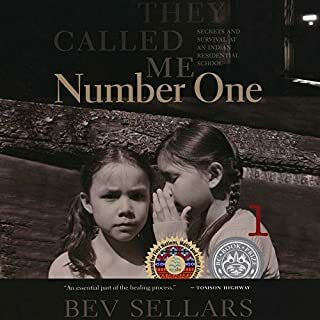 I loved this book because it's not only Canadian but also a Native book. this is truly how us Natives and culture is. I am from Vancouver and it was nice listening to places near me and in B.C. 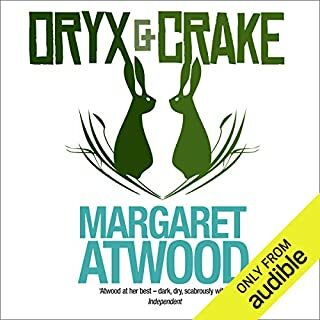 I will definitely listen to this book again. 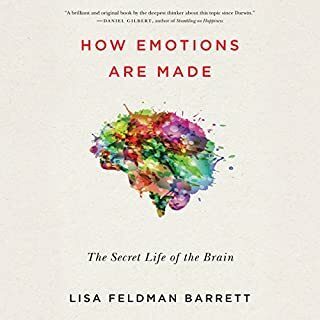 I hope there are more books like this one for me to read and feel a contacting. This is a wonderful representation of life on a rural reserve on the northern west coast of Canada. Eden is a fantastic story teller. 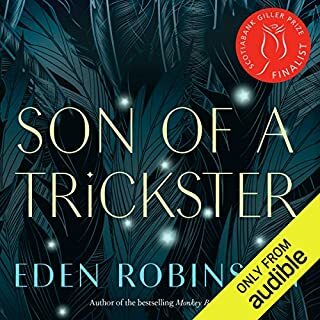 Eden Robinson is such a fantastic writer. This book is alternately hilarious and devastating. 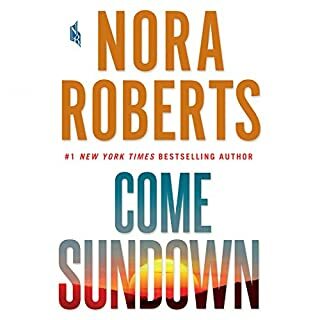 A sprawling family tale is told from the point of view of Lisa Marie. Devastating and intense and so so good.